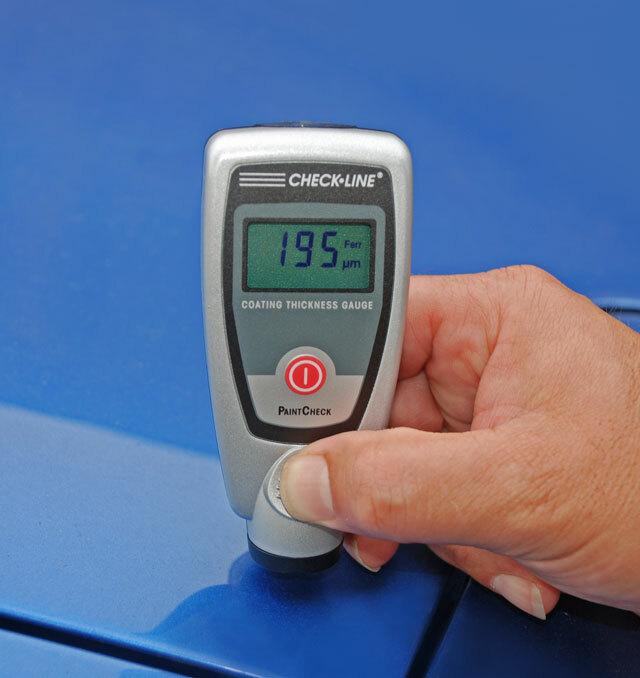 PaintCheck provides fast, non-destructive paint and coating thickness measurements on steel and aluminum (non-ferrous) metals. 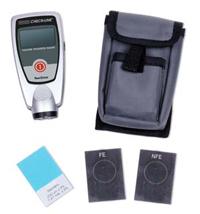 It is intended for use by car dealerships, auto body shops , insurance adjusters and similar users who only need a simple, one-handed basic gauge. The resolution is limited to 0.5 mils (5 µm) and should not be confused with our other "precision" gauges as this is adequate for basic thickness "checks". PaintCheck automatically selects the optimum measuring method (magnetic induction or eddy-current). No calibration is required. 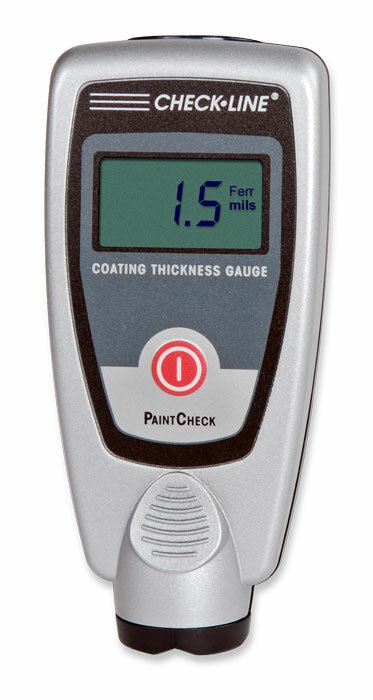 Speed, versatility and ease of use make PaintCheck a valuable tool for a wide range of paint inspection tasks. Especially the basic tasks, not requiring the highest possible resolution.